How important is neighborhood data? A recent article in US News & World Report talked about real estate trends that a person in Chicago should consider before they sold their home. In the article, the writer goes on to talk about how what surrounds a home can have a tremendous impact on its sale price in addition to the property itself. Properties that are near nice restaurants and stores will fetch more than homes located far away. Then there are parks. Parks are huge. People love the idea of walking out of their home and into a green space, no matter what size. Their children need fresh air and exercise. Their dog needs to go for a walk. (By the way, the odds of a home buyer having a kid or a canine in the US are very, very high). Just a little patch of nature has big value to home buyers. Unique neighborhoods are golden. Everybody wants to live near the newest trendy downtowns, a place where there are cool bars and a popular arts and theater scene. Then there is the question of public transportation. Take Chicago for example. How close is an “L” train station? Traffic on major highways is bad enough; how many lights does a person have to wait through just to get to the expressway? The key point is this attention to neighborhoods doesn’t just apply to Chicago. Or just New York City or Los Angeles. The concern for neighborhood is universal. And there are hyper-local tools that gives real estate brokers and agents an advantage when it comes to promoting neighborhood data. One such tool is SpatialMatch developed by Home Junction. This software was basically built around the whole “neighborhoods matter” concept. With Home Junction data and their special SpatialMatch tool, rather than tell home buyers (and sellers when you explain how well you can promote their location), there is an actual map integrated into a broker or agent’s website to show them the local assets. (You can also order a data-only version of this resource of local amenities). A neighborhood data widget is also integrated with the local MLS and a massive hyper-local database. 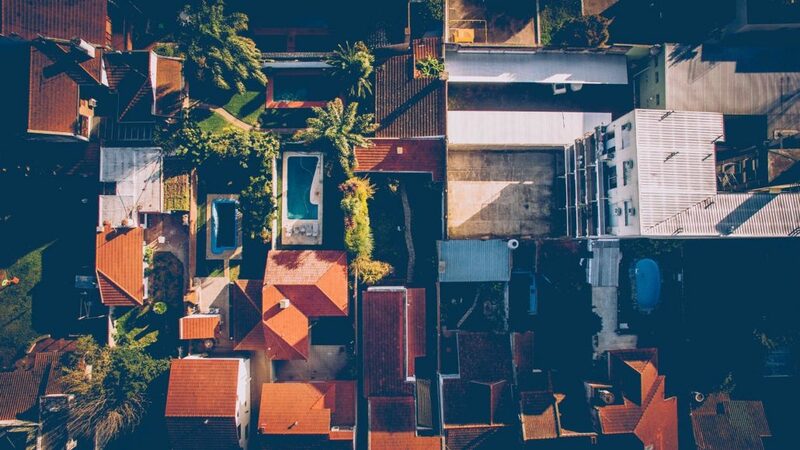 So in essence, a broker can pull up a property or type in an address and instantly display all the local neighborhood amenities surrounding it. This process is incredibly persuasive and powerful since what it does is show a prospect how great the location is that they are considering. That strategy can be as powerful as the home itself. Say for example, an agent has a drab 3/2 townhouse they are trying to sell. It looks just like the other 50 townhouses in that community and frankly, not a whole lot different than other townhouses around the state. So, the agent walks the buyer through the property. White walls, beige carpet, half-shiny appliances, blah, blah, blah. You can only get so excited about this type of listing and if you pretend to be overexcited, well, people can certainly see through that. However, the excitement can be created when that agent pulls out their laptop and starts showing that couple all the really exciting attractions in the area. Home Junction has a database of businesses, schools, parks, highways and other critical hyper-local addresses built right into its geo-spatial database. So every amenity can be pulled up with distances included relevant to any home listing. A savvy agent can point out there’s a Starbucks nearby that the couple can bicycle to. Over here there’s an enormous, tree-filled park with some outdoor fitness equipment and exercise stations. Nearby is an super-popular sushi restaurant that quickly reaches capacity at 7 pm. But since this property is so close, the couple can be there by 6:30 pm. And after dinner, there’s that fun brew pub across the street that features folk singers and bluegrass music every night. Get the picture? Neighborhood data can be a beautiful thing, especially when showing a property that has minimal charm. Yes, neighborhoods do matter. Be sure to have the best hyper-local real estate tools embedded on your site. Show buyers and sellers that promoting a neighborhood matters to you as a broker or agent as well, and that is why you have this technology at your fingertips.